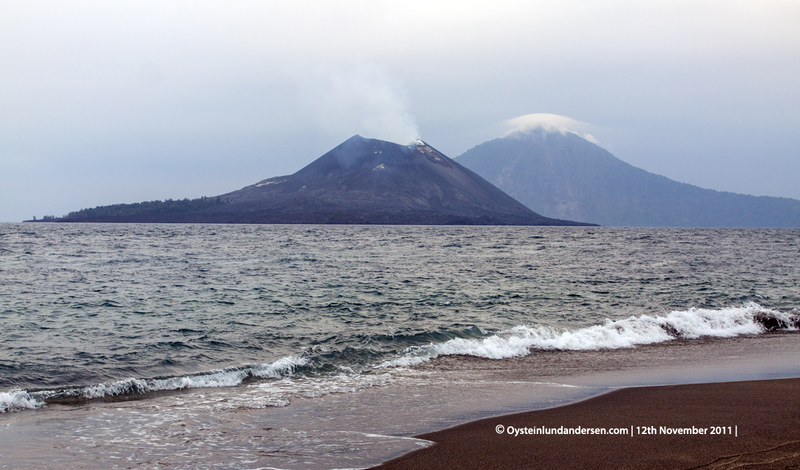 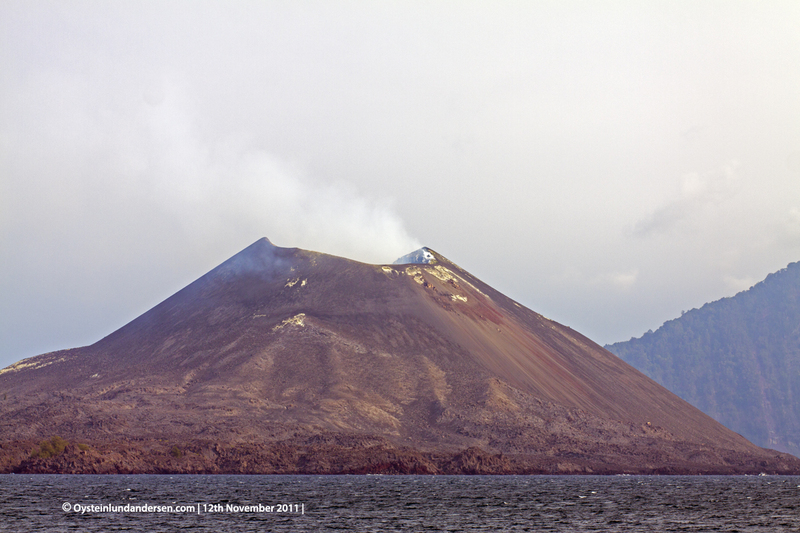 Activity on the Anak Krakatau volcano has picked up the last week, so decided to head there on the weekend. 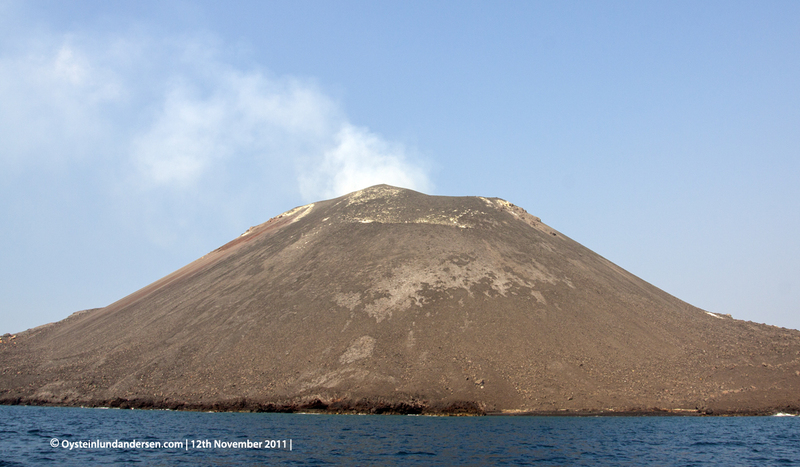 Spent one night on Verlaten Island, which is a island situated 1km west of the active Anak Krakatau. 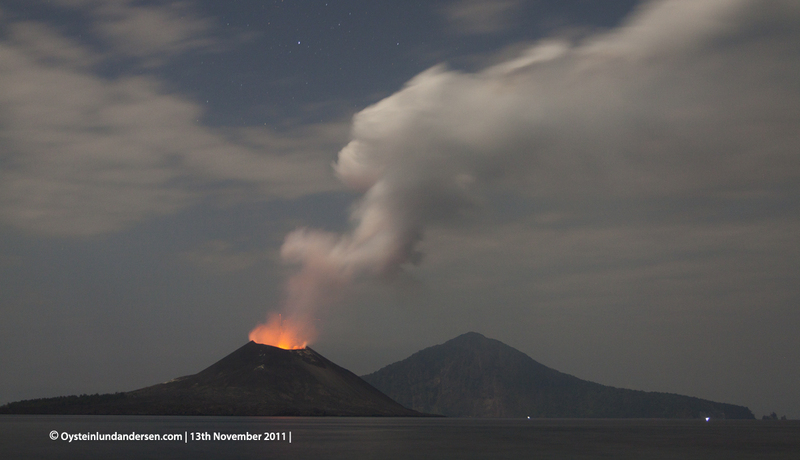 Had a magnificent evening with clear weather and a full-moon, a perfect setting for photographing eruptions during the night. 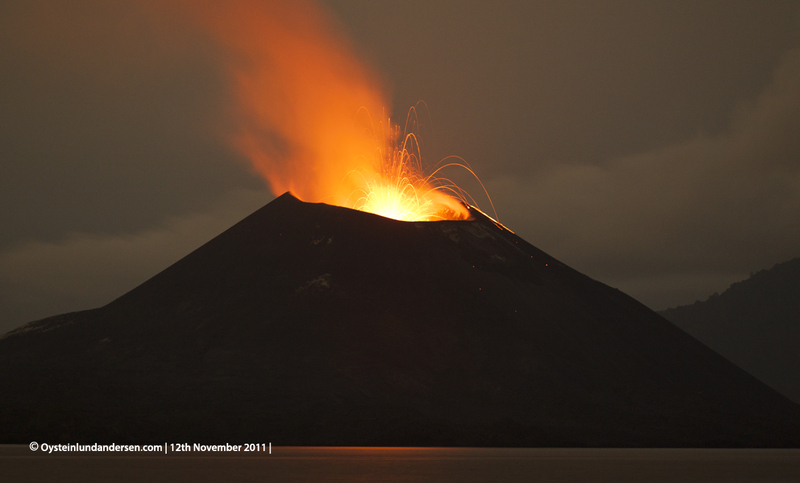 I did not sleep a second. 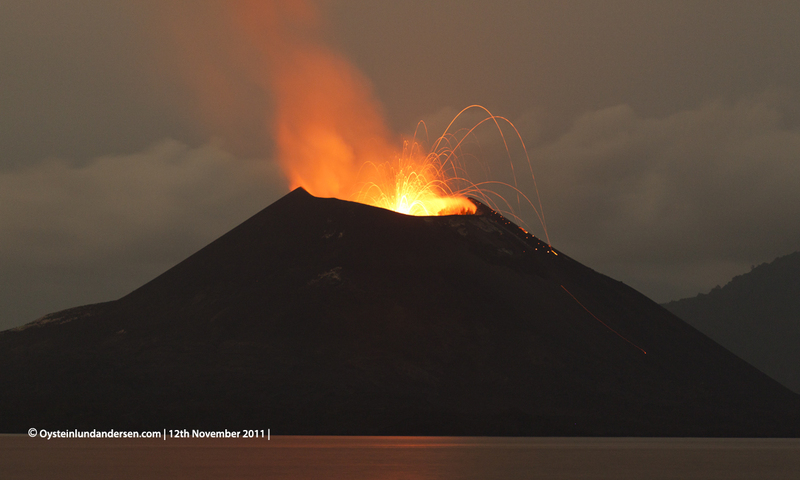 Type of activity: Strombolian eruptions. 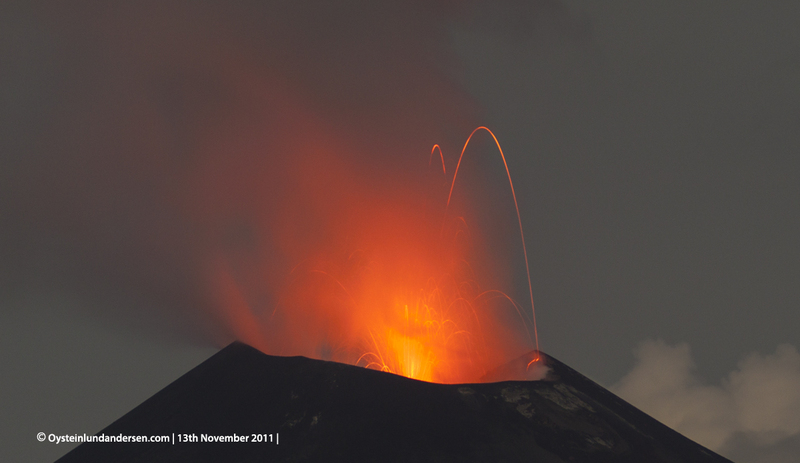 Intervals of the eruptions varied between 30seconds to a few minutes. 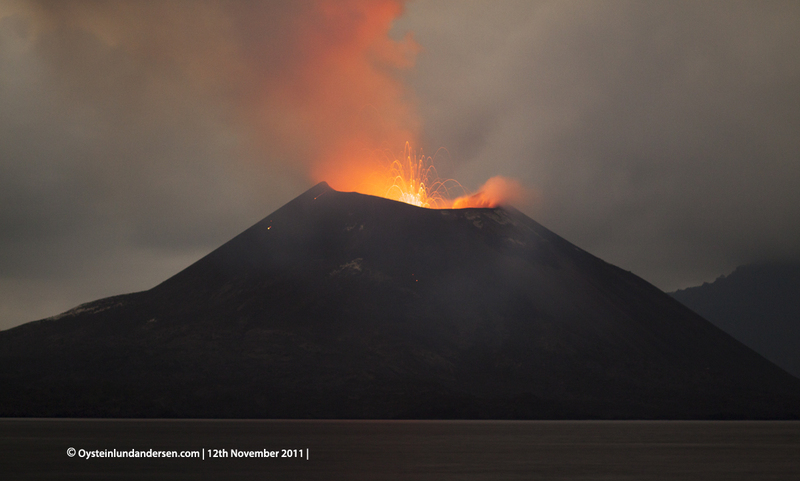 The eruptions were low to modestly strong, often accompanied by quite strong sounds from the volcano. 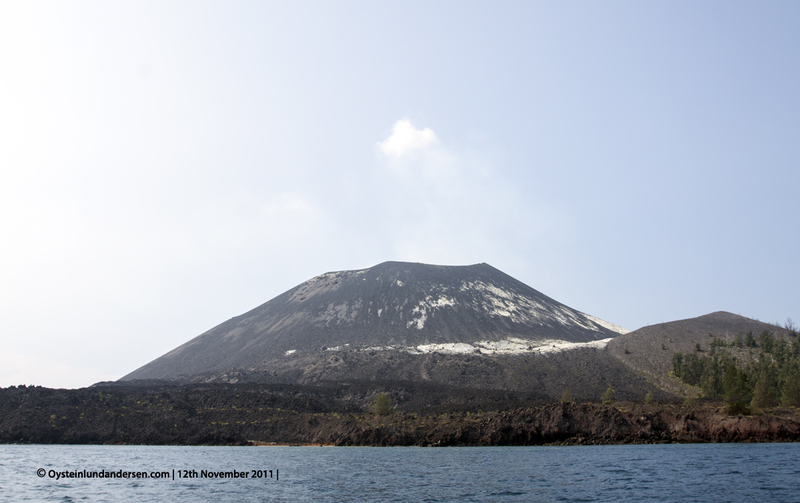 Lava bombs ejected by the volcano did not travel far from the crater, as most of the material was ejected straight into the air and fell back into the crater, causing the crater to almost constantly being illuminated by the lava during night, something I have never seen before at Krakatau. 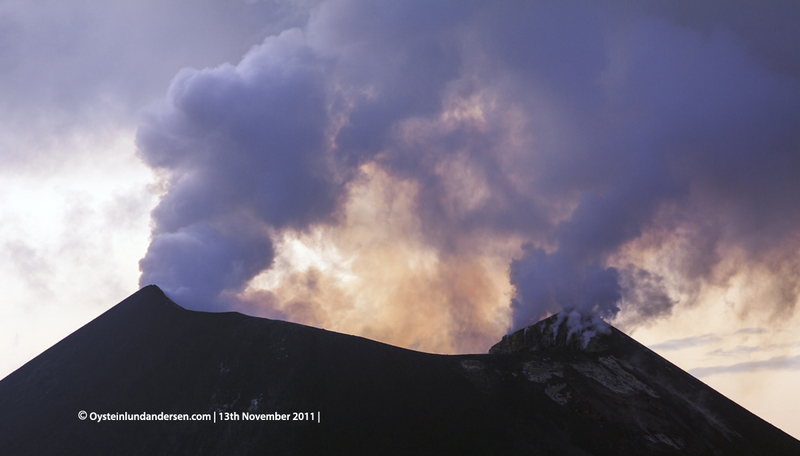 No ash emissions. 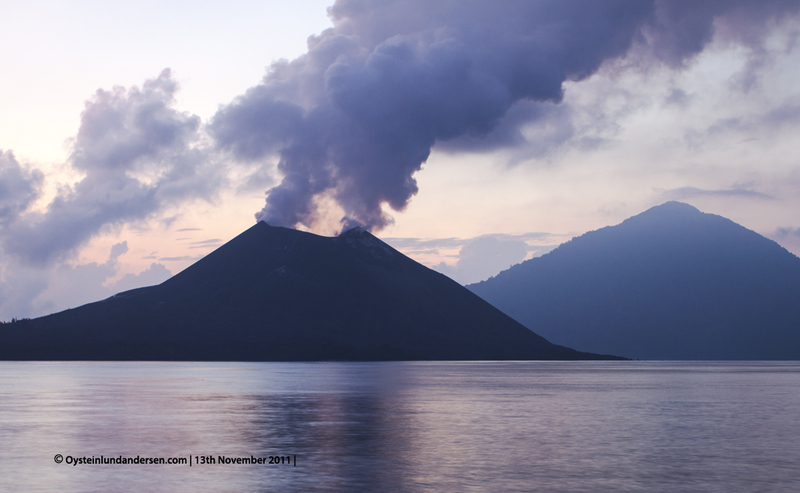 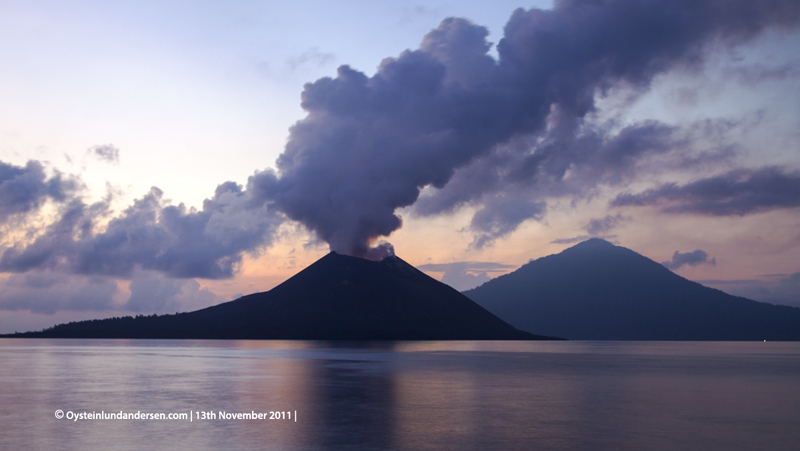 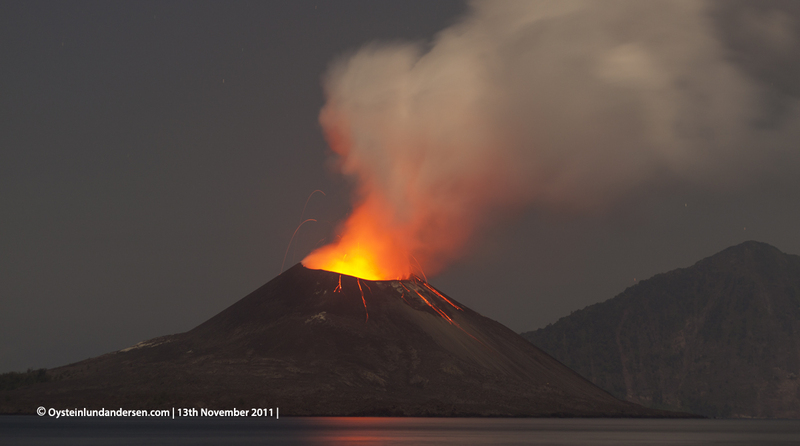 Troughtout the first day Krakatau was only seen emitting gas. 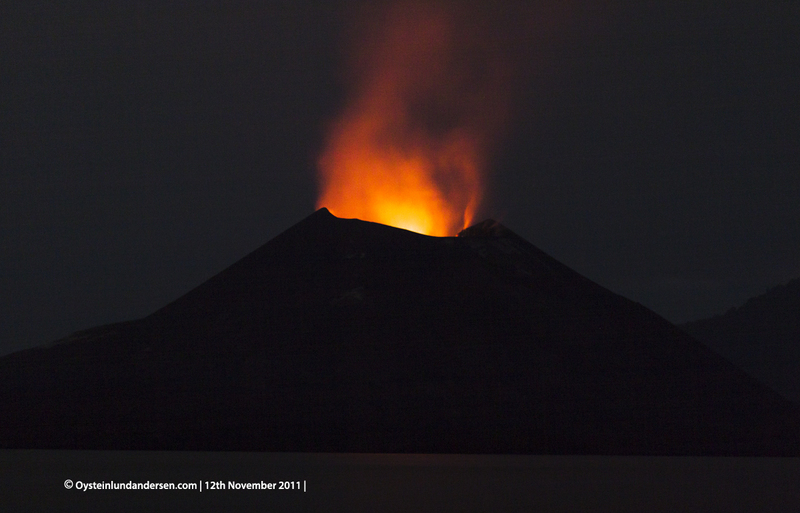 After sunset Incandescence was seen from the summit crater, but no eruption. 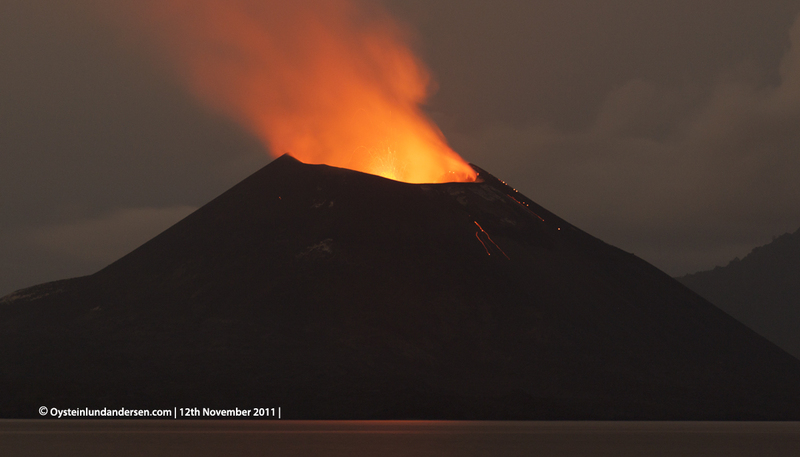 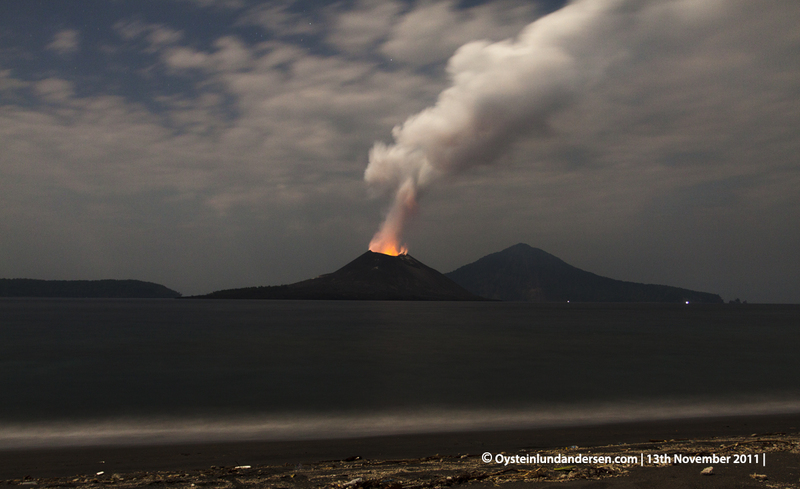 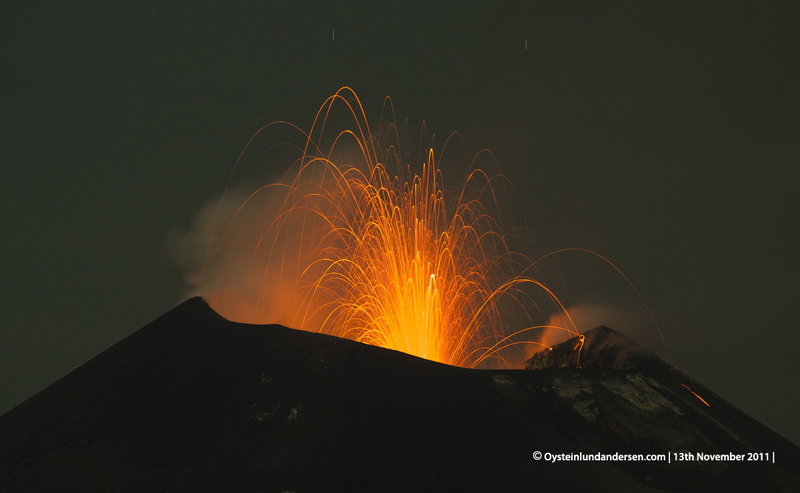 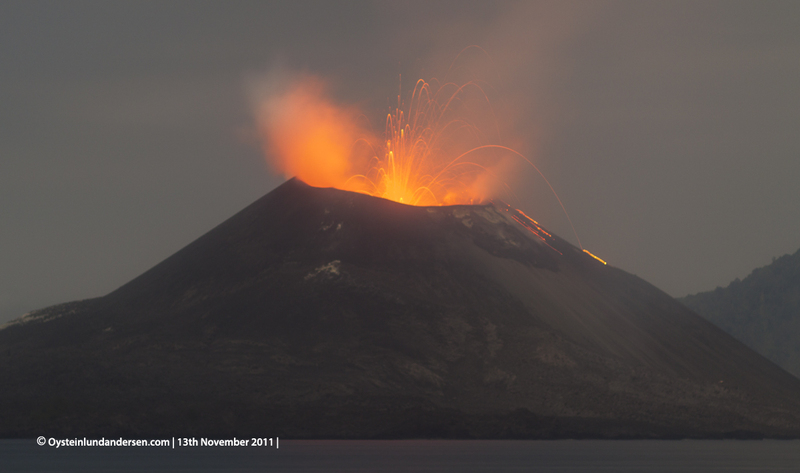 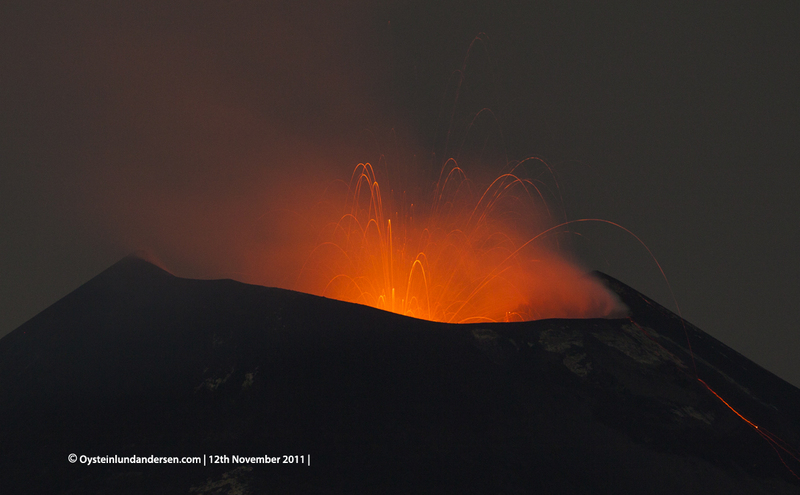 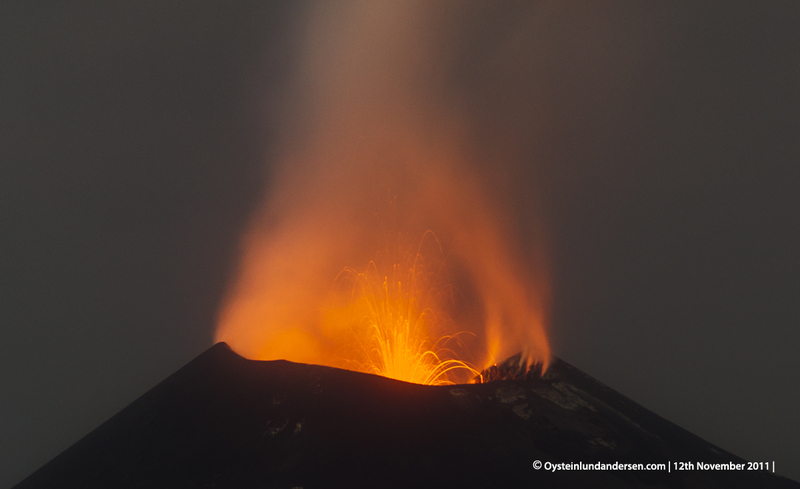 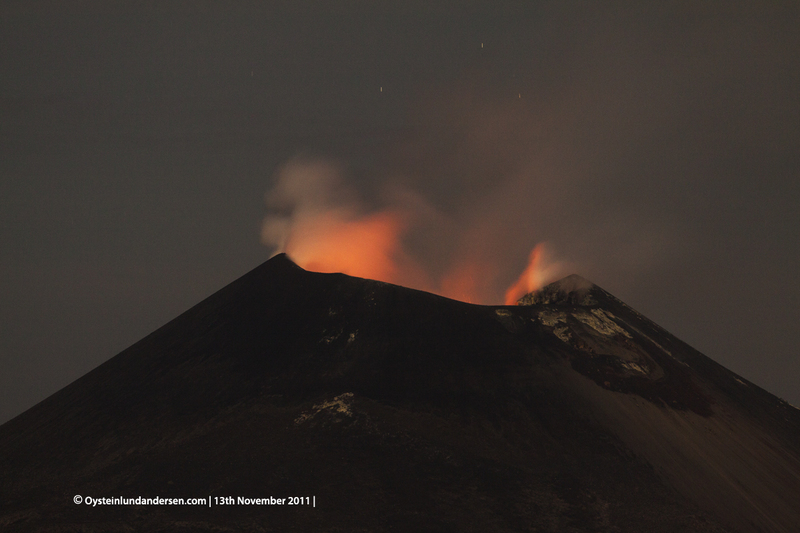 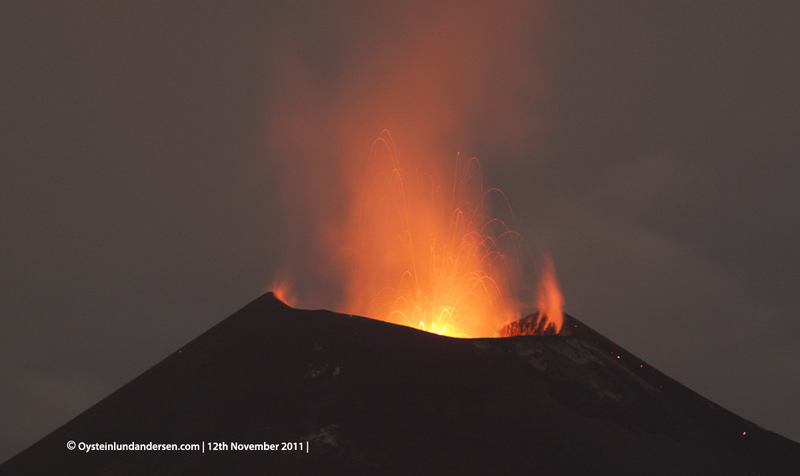 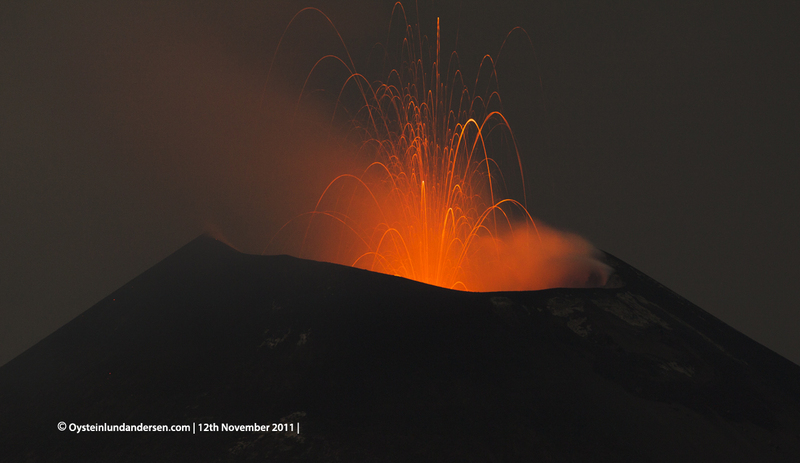 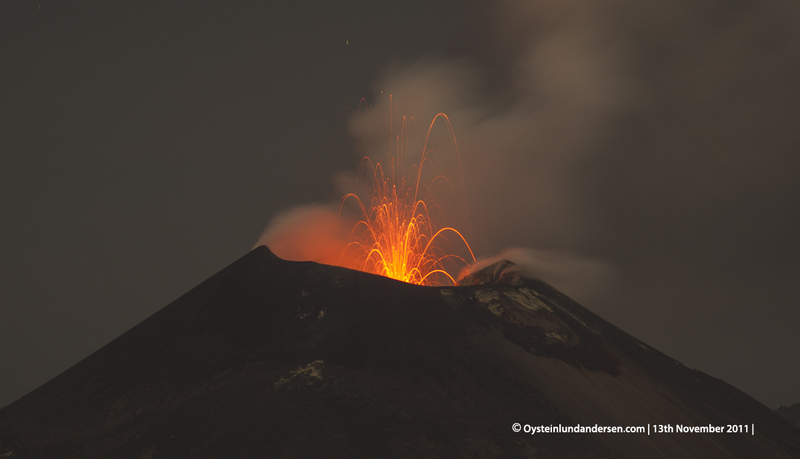 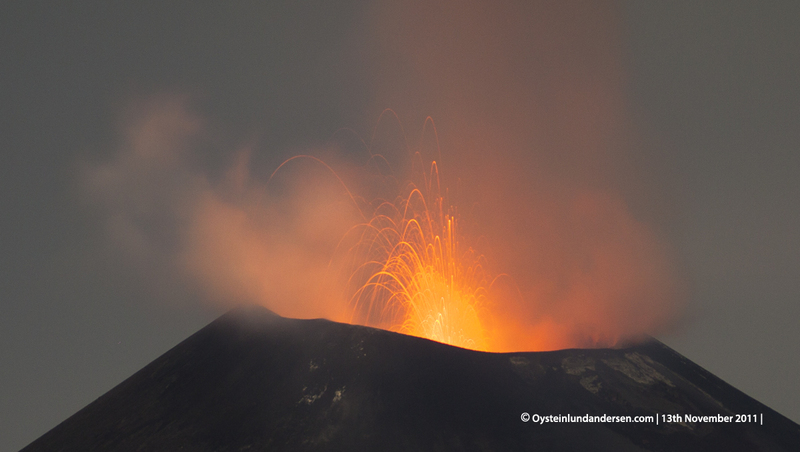 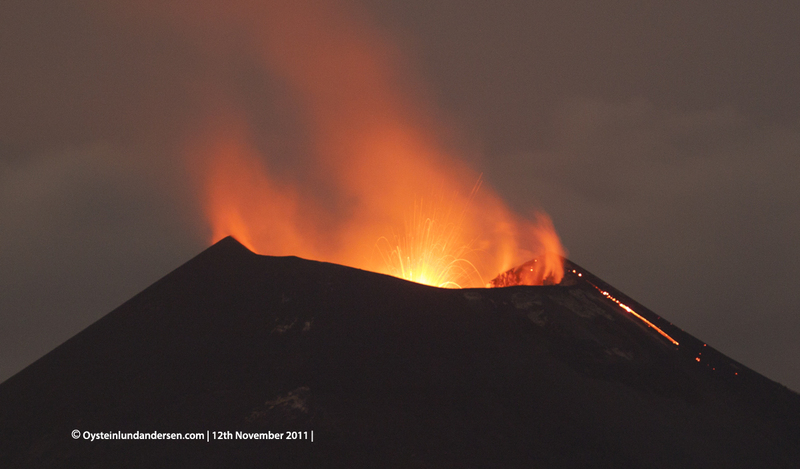 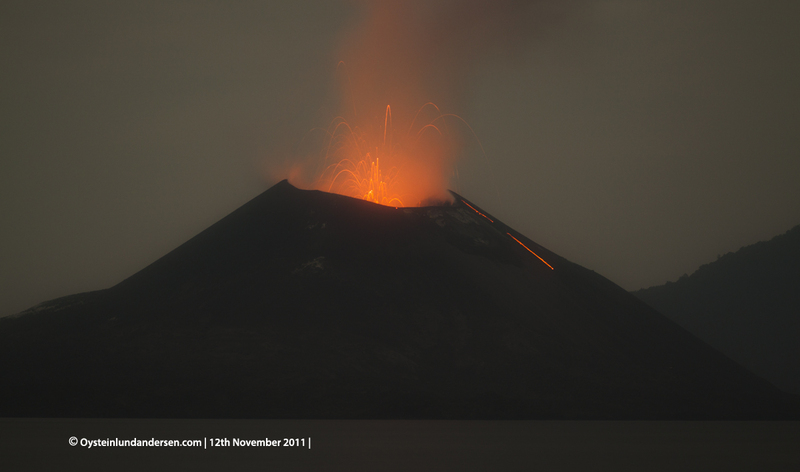 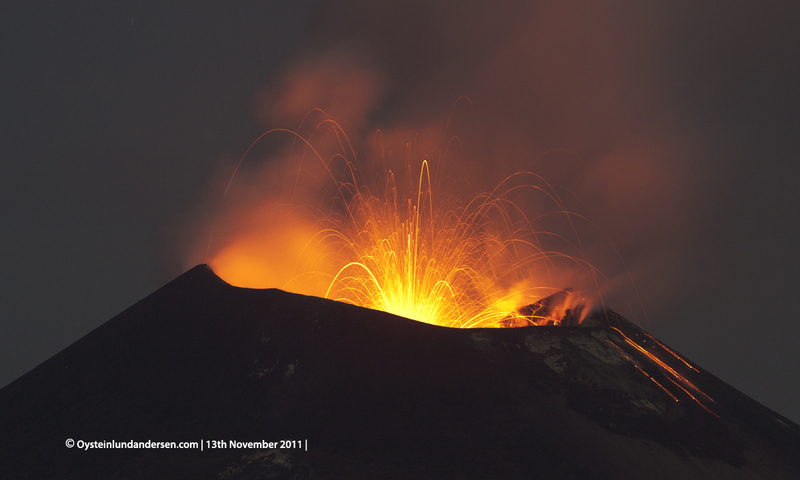 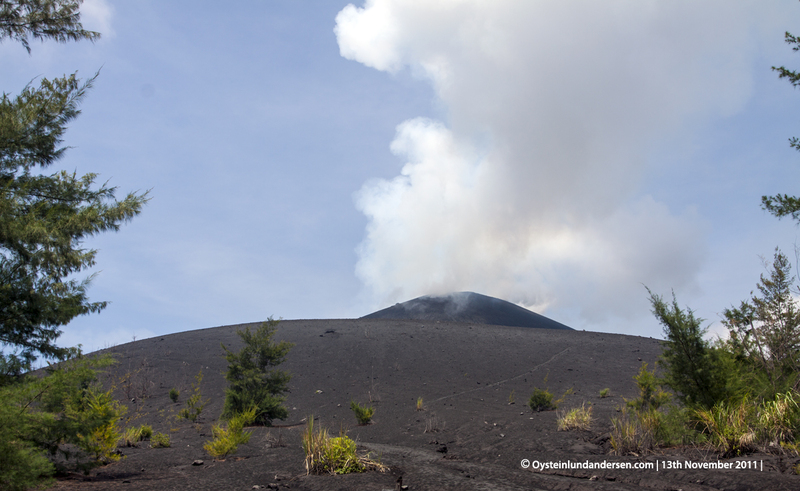 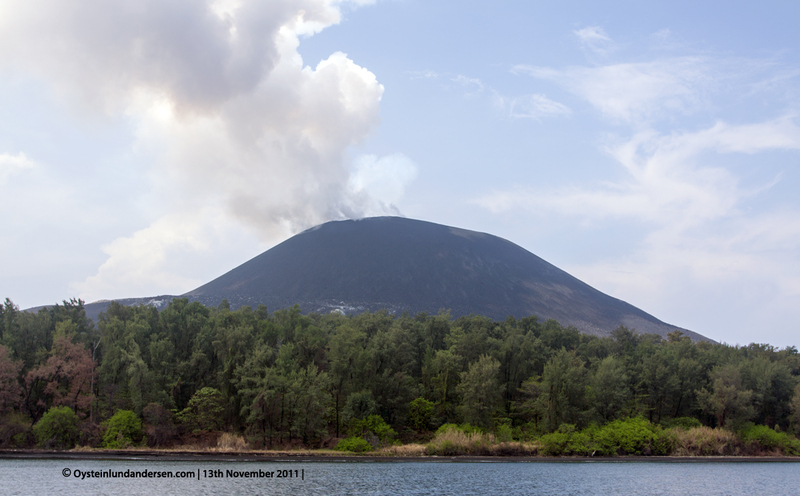 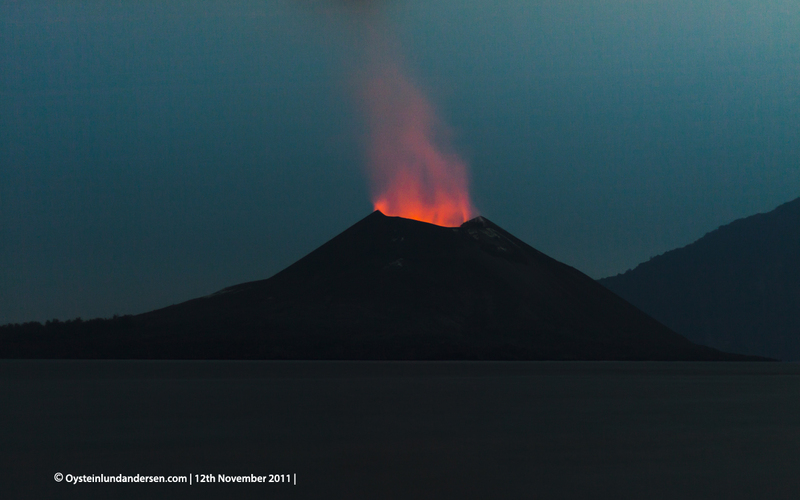 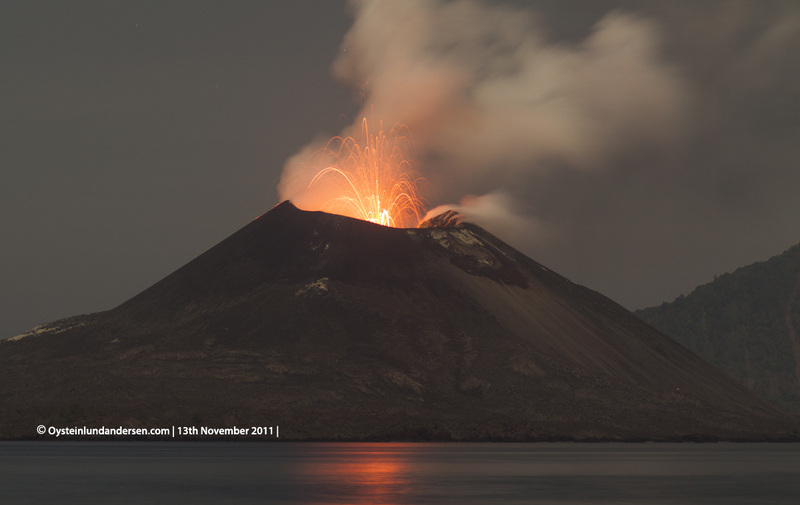 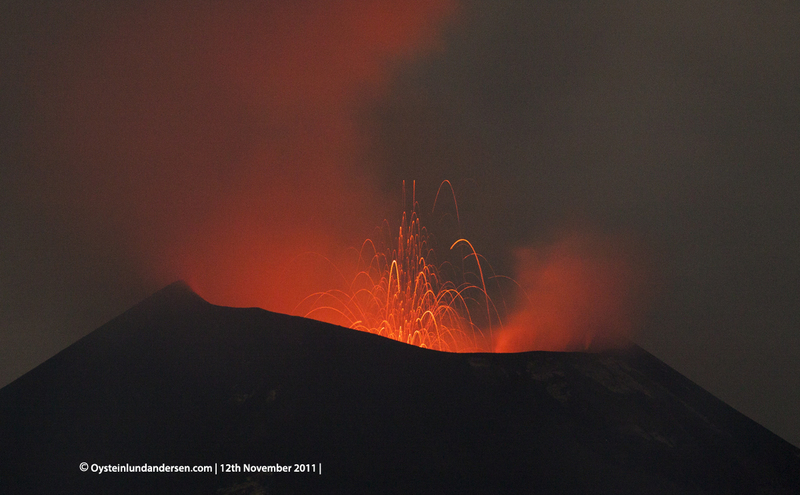 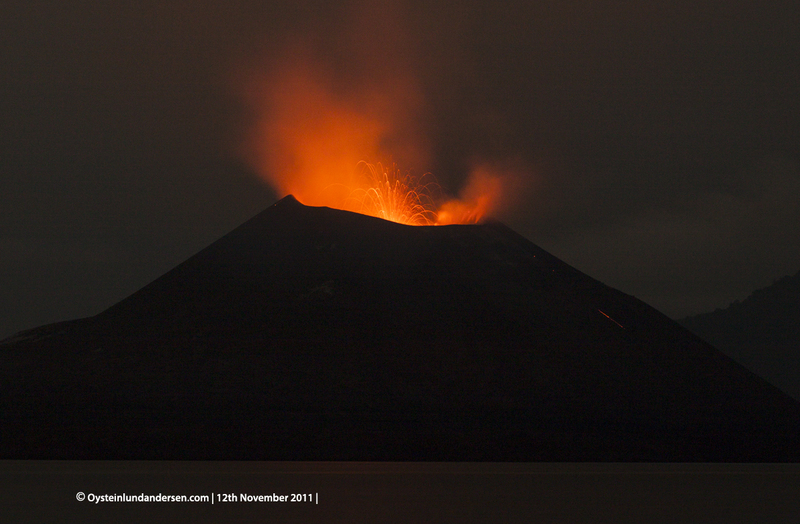 A few hours later Strombolian eruptions started and activity continued until the morning.